Regression-based statistical downscaling model (SDSM) is an appropriate method which broadly uses to resolve the coarse spatial resolution of general circulation models (GCMs). 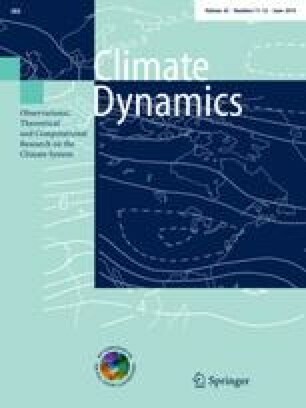 Nevertheless, the assessment of uncertainty propagation linked with climatic variables is essential to any climate change impact study. This study presents a procedure to characterize uncertainty analysis of two GCM models link with Long Ashton Research Station Weather Generator (LARS-WG) and SDSM in one of the most vulnerable international wetland, namely “Shadegan” in an arid region of Southwest Iran. In the case of daily temperature, uncertainty is estimated by comparing monthly mean and variance of downscaled and observed daily data at a 95 % confidence level. Uncertainties were then evaluated from comparing monthly mean dry and wet spell lengths and their 95 % CI in daily precipitation downscaling using 1987–2005 interval. The uncertainty results indicated that the LARS-WG is the most proficient model at reproducing various statistical characteristics of observed data at a 95 % uncertainty bounds while the SDSM model is the least capable in this respect. The results indicated a sequences uncertainty analysis at three different climate stations and produce significantly different climate change responses at 95 % CI. Finally the range of plausible climate change projections suggested a need for the decision makers to augment their long-term wetland management plans to reduce its vulnerability to climate change impacts. We express our gratitude to Climate data office at Iranian Meteorological organization for contributing historical insight into the original climatic data records. Our deepest appreciation goes to Iman Babaeian from National Centre for Climatology (Mashad Climate Centre) for his assistance during this study. By the same token, we would like to express our gratitude to LARS-WG and ANN software providers and the Canadian Climate Change Scenarios Network for providing us, free of charge, the HadCM3 and NCEP reanalysis data.